SAN FRANCISCO — CAAMFest has released early bird ticket sales for two of its most anticipated nights: “Linsanity” Opening Night Film and Gala (Thursday, March 14, at 7 p.m. at the Castro Theatre and 9:30 p.m. at the Asian Art Museum) and “Dosa Hunt” New Directions Launch (Thursday, March 21, at 6 p.m. at the Asian Art Museum). CAAMFest, formerly the San Francisco International Asian American Film Festival, is presented by the Center for Asian American Media. 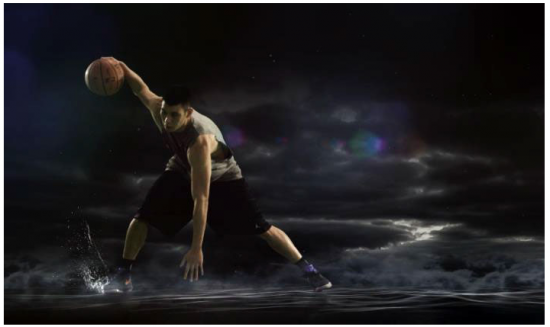 Directed by Bay Area native Evan Jackson Leong, “Linsanity” captures the man and the cultural phenomenon that took over the NBA nation in February 2012: basketball sensation Jeremy Lin. Straight out of its world premiere at the Sundance Film Festival, “Linsanity” gives the audience courtside seats to Lin’s sudden rise, masterfully capturing the energy and frenzy that swept up this Palo Alto baller through a trove of home movies, jaw-dropping game footage and intimate interviews with family members. “Linsanity” is the first documentary to open the festival in over a decade. In collaboration with the Asian Art Museum, CAAM is pleased to present its New Directions Launch featuring the West Coast premiere of the film “Dosa Hunt,” a special set by Indian Bastards from Hell (featuring members of Das Racist), a curated menu by Café Asia, and local food trucks. “Dosa Hunt,” the brainchild of Stereogum.com’s executive editor, Amrit Singh, assembles a who’s who of New York’s brown musical cognoscenti (Singh, pianist Vijay Ayer, and members of Das Racist, Vampire Weekend, Yeasayer and Neon Indian) to roam the streets of New York City in search of the city’s best dosa. Singh will be available for a Q&A following the screening. With expanded ventures in music and food, New Directions taps into CAAM’s adventurous spirit to bring this unique approach to the way we experience media. Early bird tickets for the “Linsanity” and “Dosa Hunt” events are available through Wednesday, Feb. 13, the date of CAAM’s official press conference, at www.caamedia.org. “Linsanity” Opening Night and Gala: Pre-sale tickets (through Feb. 13) $50 for general public, $40 for CAAM members. General tickets (after Feb. 13) $55 for general public, $45 for CAAM members. “Dosa Hunt” New Directions Launch: Pre-sale tickets (through Feb. 13) $25 for general public, $20 for CAAM members, $10 for Asian Art Museum members. General tickets (after Feb. 13) $30 for general public, $25 for CAAM members, $15 for Asian Art Museum members. CAAMFest takes place March 14-24 in San Francisco and Berkeley. It is a celebration of film, music, food and digital media from the world’s most innovative Asian and Asian American artists. CAAM is a non-profit organization dedicated to presenting stories that convey the richness and diversity of Asian American experiences to the broadest audience possible. CAAM does this by funding, producing, distributing and exhibiting works in film, television and digital media.